Welcome to Keating Hollow, the village full of love, magic, and cupcakes, where nothing is more important than family. At age 18, after a spell tragically backfired, Abby Townsend left Keating Hollow and her magic behind to find redemption. Twelve years later, after being summoned by her family, she’s back. 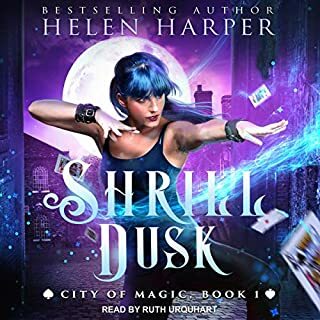 As soon as she drives into town, she’s already plotting her inevitable exit, but she can’t quite escape the pull of the tightly knit magical community or the soulful gaze of the one man she’s never forgotten. 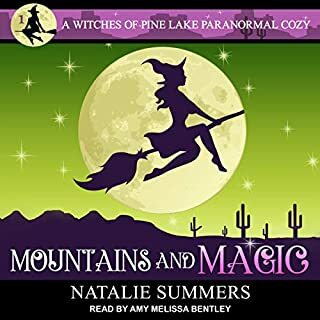 And when a nine-year old witch not only leads her back to her magic, but also steals her heart, Abby’s about to learn what it means to embrace the soul of a witch. these books are so sweet you could get cavities, but they also end way too soon . Good thing there are 3 more books to go . Love your stories Deanna ! keep them coming. I will be here to read them all . Slightly different from Deanna's usually quirky fun loving characters. The Soul of the Witch brings a slightly more serious feel, never fear though, it's a great story. With a past she cannot escape, Abby has some reckoning. Not even a day back in town and she has a run-in with her former love, Clay. Home to help with her father, Abby realizes she has lost her way and not just with her magic. 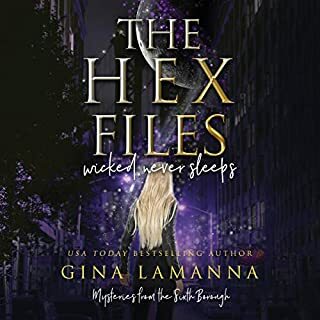 A great start to a new series, looking forward to more of the Witches of Keating Hollow. I enjoy this narrator, she seems more in tune with the story. I voluntarily reviewed Soul of the Witch as a copy from the author. Amazing! I love this series. I started at 5 and had to go back to the start! The story by Deanna Chase is excellent but the audible is not the best. The person narrating was monotone through most the story. What inflections she did weren’t bad but she needed to show more interest in the story as she came through to me as boring which is a shame for such an excellent story! This book just tugs on my heart strings! 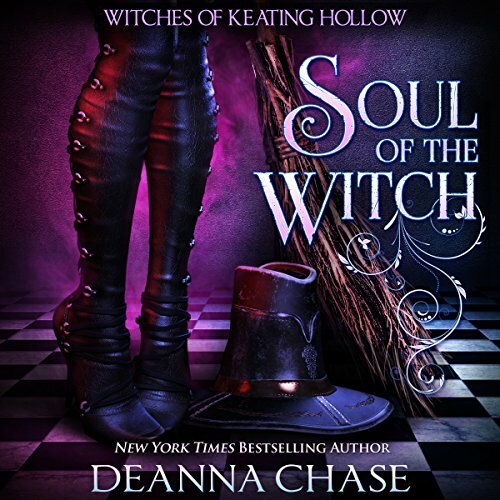 This is a great book; this is the Witches of Keating Hollow series and is written by Deanna Chaseand narrated by Gabra Zackman. At age eighteen, after a spell tragically backfired, Abby Townsend left Keating Hollow and her magic behind to find redemption. Twelve years later, after being summoned by her family, she’s back. 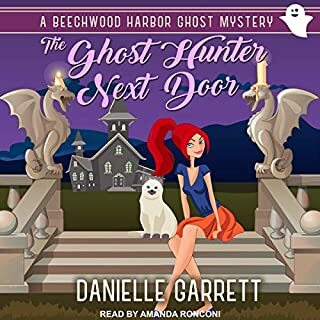 As soon as she drives into town, she’s already plotting her inevitable exit, but she can’t quite escape the pull of the tightly knit magical community or the soulful gaze of the one man she’s never forgotten. 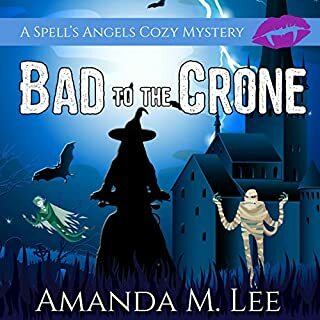 And when a nine-year old witch not only leads her back to her magic, but also steals her heart, Abby’s about to learn what it means to embrace the soul of a witch. This is a great book with a wonderful story and well developed characters. This book will keep you reading long into the night. If you are looking for a great book, then you need to read this book. I really enjoy this narrator, she is one of my favorites. She does a fantastic job with all the voices and kept my attention until the end. Gabra Zackson's have a voice that that's smooth and pulled me in fast into this fantastic story. Abby has come home because her father is sick . She ran away after something bad happened but the man she left behind all those year is there too. This is a crazy fun witchy town I would love to visit. It's full of humor, flirting, drama, and so much more great story fantastic characters. I couldn't turn it off! Wow what an emotional roll-a-coaster ride I loved it! 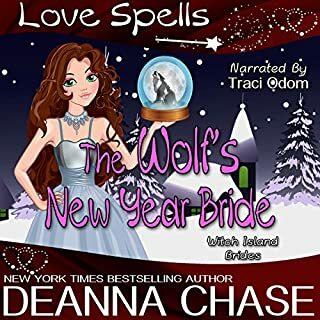 Deanna Chase always weaves a tale that will have you captures your mind and takes your heart on ride. This story is more then just romance it about family, a community, triumphing over tragedy, loss, illness and path that leads to a soul mate. Fantastic story with great narrator!